Now a days, in communication technology safety of digital data in the form of text, image, and video, audio is a biggest problem. With the rapid development of the network multimedia systems, security is the biggest issue. Digital watermarking is one of the solutions to these problems. It hides some secret data into the original image and this information is use for image authentication and security. 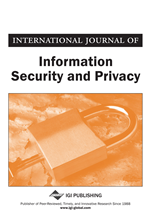 This paper Focus an application using Hybrid approach of Cryptography technique and dual watermarking for the purpose of Providing highly security and authentication of digital data. This paper use cryptography and QR Code in combined approach of LSB and DCT Digital image water marking technique. The Experimental results are given in the form of table and graph. This algorithm provides more security and data authentication compare to other image data security approach.